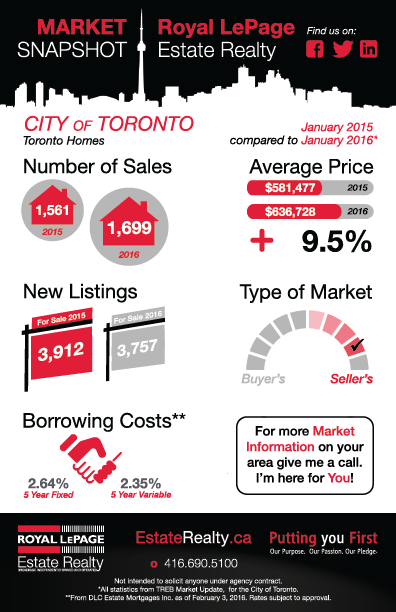 The overall Toronto market saw an increase of 9.5 percent in average sales price year over year. 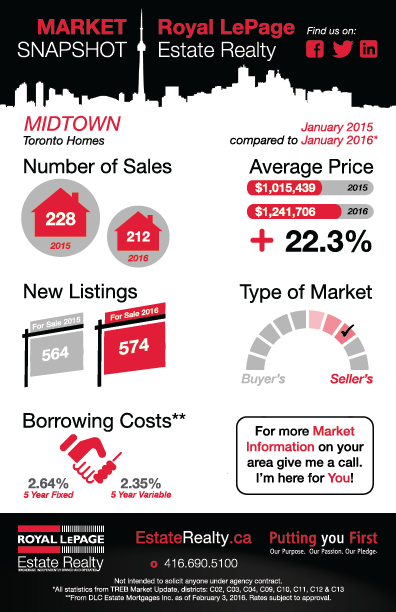 The average price of a home in Toronto for the month of January was $636,728. The downtown Toronto Condo market saw a price increase of 6.4 percent year-over-year. Supply remained fairly consistent and demand (sales) went up compared with January 2015. East Toronto prices were up 12.2 percent, the number of homes sold stayed steady year-over-year while the number of new listings was down slightly. Midtown average prices were a whopping 22.3 percent year-over-year. The ‘hood saw one of the largest increase across the city when comparing January 2015 and 2016. West Toronto saw a price increase of 10.9 percent year-over-year, while sales volumes were up. 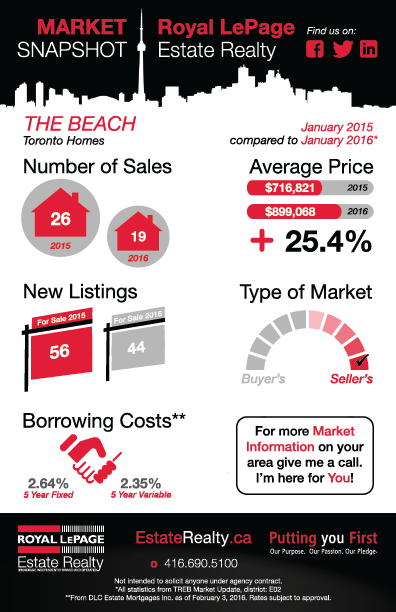 The average sales price in the Beaches was up by 25.5 percent year-over-year.